Calling it a joke, Ghosh said that his comments on Banerjee were made in jest. 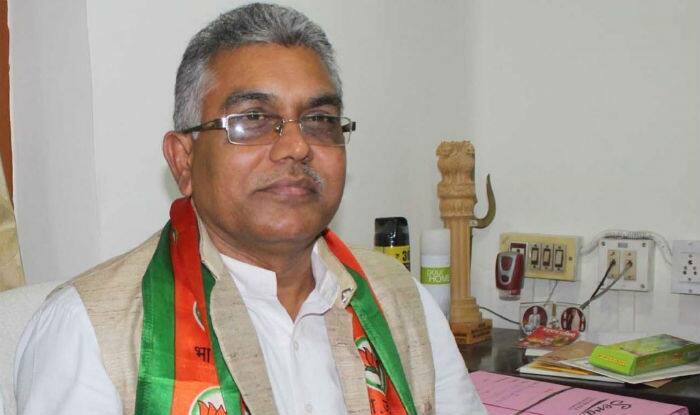 Kolkata: Bharatiya Janata Party (BJP) president Dilip Ghosh on Sunday backtracked from his statement made a day earlier in which he had suggested West Bengal Chief Minister Mamata Banerjee of having the quality of becoming the prime minister of the country. Calling it a joke, Ghosh said that his comments on Banerjee were made in jest. On Saturday, Ghosh triggered a fresh row by claiming that Trinamool Congress (TMC) supremo and chief minister Mamata Banerjee has the best chance to become the first Bengali prime minister of the country. “If the selection was to be made from Bengal, Mamata Banerjee has the brightest chance. She is dreaming of becoming the next PM, and therefore I wish her luck. She needs to be in good health, as the fate of the state depends on her success,” said Ghosh, while extending birthday wishes to her. He, however, maintained that Narendra Modi will lead the country again in 2019. Maintaining that she does not know the context in which Ghosh made the remarks, BJP Rajya Sabha MP from West Bengal Roopa Ganguly said, “Narendra Modi is our PM. I will not accept Mamata Banerjee and the TMC, who have murdered our workers, to lead the country.